I have always used an iPhone for my photography, until very recently when I got a DSLR, and I have never had a problem with the quality. My first feature in a magazine; I took the photo with an iPhone 4. And every feature since has been with photos took by an iPhone. Even now I only have an iPhone 6. So please don’t think you have to go out and buy an expensive camera to get good photos of your work; you only need to do this if you want to do it. I did want to get a DSLR and go deeper into learning about photography; not just for product photos but for taking photos of my kids so last year I started saving for one and in the mean time I started learning how to use them (yes, before I even had it) by listening to Tea Break Tog Photography podcast. So when I got my camera, I could go straight to manual mode. However, although I could take photos of people, I quickly realised that taking photos of products was a whole different ball game and it’s only very recently, 5 months after getting the camera, that I finally got some good product shots with it. But like I say, don’t worry if you don’t have a DSLR, most of these tips are universal, and it doesn’t matter what you’re using to capture the shot. I will have a quick chat about the settings I use for my DSLR later though. So, the key to good photography is preparation! You need to know where you are going to take the photo, what time in the day, what your background will be and if you are using props. All of this also depends on what type of shot you want. There’s plain old product photography where your finished product is centre stage, usually on a white background with little props. Or a lifestyle shot which shows your product in use or in some sort of real-life setting. I hate lifestyle photography. Well, I like looking at it but I am not so good at taking it and I feel like I need a show home to get it right. The closest thing I get is a shot of a hoop on my desk. Or the odd hand in the photo, but it is something I am trying to work on (slowly). Product photography isn’t much easier but the one I think I’m much better at. Although, some of mine does have a little bit of lifestyle elements in as I do tend to put a few props in my shot and set up some hoops-on-units-shots. My style is usually a flat lay shot that is good for Instagram, which is perfect for me as that’s where I spend most of my time! And I always shoot square because that’s what I need for my website and NOTHS. The best place to take your photos is in a bright room, filled with lots of light. For me, my home office conveniently ticks this box. It’s at the front of the house and doesn’t have a huge window, but big enough for me. Some people also like to go outside on a cloudy day. I understand this appeal but I prefer something different which leads on to my next point of time of day. I like to take my photos between 12-2pm because that’s when the sun is highest and brightest and is at the front of our house so shining into my office. This is also nap time (usually) so no little fingers in my photos! Have a walk around your house and see which room the sun is shining in during this time of day. Now, back to the cloudy day. I’m go against this advice and shoot on the most sunny day. I check the weather for the week ahead and plan my photography day in advance (see, all in the preparation). As long as I’m not in direct sunlight (those beams you get across the floor) then my photos are OK. When you are first getting started, you might want to start setting up about half an hour before your perfect times so you’re not wasting precious good light. This is particularly important in winter when good light is rare! (If you’re in the UK anyway). I have tried a lot of backgrounds. When I first started, I would use a brown blanket or our brown table. This is because the aida is white so I just didn’t understand how you could take a photo of something white on a white background. But I quickly realised this is exactly what I needed to do. Right now I have 4x A1, 5mm foam board that I got from Hobbycraft but you can get them online in lots of places. I also have some wall paper samples that I use as backgrounds; wood grain, marble and brick seem to be the most popular and I have 2/3 of those. I just got these from eBay and I have stuck mine to one side of my foam boards. Little tip though – don’t glue them on like I did, just clip them. Glue will warp your board. And I sometimes use some coloured card if I want a little colour pop in my photo. This is something I did a lot in 2017 but not so much now. Oh, did I mention that photography has trends? Yeah, you can choose to ignore that too. If you don’t want to use wall paper samples or foam boards, Capture by Lucy sells gorgeous back drops. I haven’t personally used them but I see them recommended by a lot of creatives all the time. Getting your props ready beforehand is also a huge help. Your props will change depending on what your are taking a photo of, but as I’m assuming most of you are photographing cross stitch or other needle craft work I will just list mine off. DMC threads – on bobbins or whole skeins, to match the hoop. These are all the props I have in my prop box. I highly recommend making your own prop box that you can pull out when ever you’re doing photos. And just keep your eye out for anything that catches your eye that you think would be good to use as a prop. Now onto the actual taking of the photo – we got there in the end! You may have heard of the rule of thirds, but don’t worry if you haven’t because for product photos I tend to ignore this rule. For lifestyle shots, you may want to pay some attention to it but as I have mentioned, I am not great at life style shots but as I learn more about this side of photography I will share it with you. What I tend to do is pop my product in the middle and some props around the outside. This works well for me because all of my products are hoops. Sometimes I may place the hoop off centre slightly and reduce the number of props. Or I’ve recently started playing with my DSLR and holding the hoop close up and blurring out the background of props I have. You can just have the hoop in the photo and nothing else; if I’m doing this I usually use one of my patterned backgrounds. Another set up I use is swapping the bottom board to a patterned one (the one I grab most is the wood grain one) and lean my hoop against the back board with some thread and scissors at the bottom of it and take the photo straight on so it looks like it’s being displayed. This works better if you put all this set up on a desk or raise it up so you can get a straight on shot; it’s quite difficult doing this from the floor. If you want a really quick photo, I take close up ones sometimes and this requires no set up; I just stand next to a window and snap. OK, so you’ve found/made the perfect shot; now it’s time to set up your phone or camera. For my phone I go into my camera settings and turn on the grid feature so you can make sure things are lined up correctly. Then I press and hold the focus on the middle of the hoop and this will lock the focus to save you having to redo it for every photo .Then I adjust the exposure/little sun. I like to slightly overexpose my photos so I up the exposure a fair bit so my background looks truly white but I’ve not completely burnt out my props. If my props start looking too over exposed, I stop and edit the photo (more on that soon). I’m still not ready to press the shutter though! Whether you’re using a camera or phone, a tripod can really come in handy. I don’t know about you but I find it really hard to keep my hands still when I’m taking photos. However, I don’t have a tripod for my camera yet and I don’t have one for my phone that allows me to do flat lays so I do have to use my hands still sometimes. A little tip I learnt was to take a deep breath in and hold my breath while pressing the shutter down which apparently helps reduce camera shake. I honestly have no idea if this works but it’s a habit I’m in now anyway so I just go with it. So that’s my iPhone set up, what about my DSLR? As I said, I’m very new to DSLR photography but I’m just going to let you know my settings for my most recent photos. I always shoot in manual mode, but if you are new to manual mode I highly recommend going over to Tea Break Tog and working through her podcast lessons to get to grips with manual. Shutter Speed – between 1/80 and 1/100. I start at 1/80 and it this is too over exposed I reduce to 1/100. See what I mean about needing a tripod? This is quite a slow shutter speed but lets in lots of light so is worth it. I don’t have a 50mm lens, I’m still with my kit lens but I shoot around 30-35mm which is around the same as a 50mm lens. My aperture is F4.5 I try not to go any wider to keep everything in focus on my flat lays. But if I want that blurry background, I move my product closer to the lens instead like the Dino photo above. My ISO is usually 400. This is something else I will change if I need more or less light. I dislike editing a lot. I prefer to make sure my set up of the photo is as close to perfect as I can get to reduce the amount of editing I need to do. I use the PicMonkey app to edit my photos and it’s usually just the levels I need to adjust and maybe a little bit of the contrast and saturation. I rarely edit mine on the PC; including my camera ones. I know this seems like it defeats the point of taking it on the camera in the first place but most of my photos just go on social media anyway. Going forward, any print photos will be edited on the PC. I like to practice with a DSLR for that reason – to practice! A lot of people recommend the Snapseed app but I could not get on with this at all. You may have better luck though so it might be worth a try. I get a lot of my photography inspiration from Instagram so today, instead of a pattern of the month I’m going to recommend 5 Instagram accounts I love. Holly Booth – a professional photographer who takes awesome lifestyle photos. Cloud Craft – a clever and inspirational feed full of needle craft supplies. Knitty Knotts – a cosy and warm feed that makes me feel homely and I just want to curl up with a cup of tea and cross stitch. 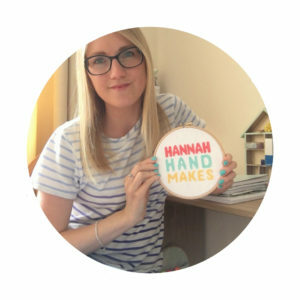 Hello Hooray Blog – Clare’s feed is just full of fun and colour and always puts a smile on my face. Devon Sun Yarns – I love seeing the seasons change on Daisy’s feed and how her yarn colours change with each one. *Affiliate link. If you click this link I may receive a small commission but I only ever recommend something I have used or read myself.